Alive to Strive Kidney Fitness Project is a non-profit organization committed to education, prevention and public awareness about chronic kidney disease. We are a front line organization, working directly with individuals living with chronic kidney disease. We will be hosting our 9th annual race event on April 28th 2019 at the Terry Fox Athletic Facility. All funds generated as a result of the race will be used to support our “Active Living Grant Program”, benefiting individuals in the Ottawa area living with chronic kidney disease. Le projet de forme physique « Kidney Fitness Project » est un organisme sans but lucratif dédié à l’éducation, la prévention et la sensibilisation du public à la maladie rénale chronique. 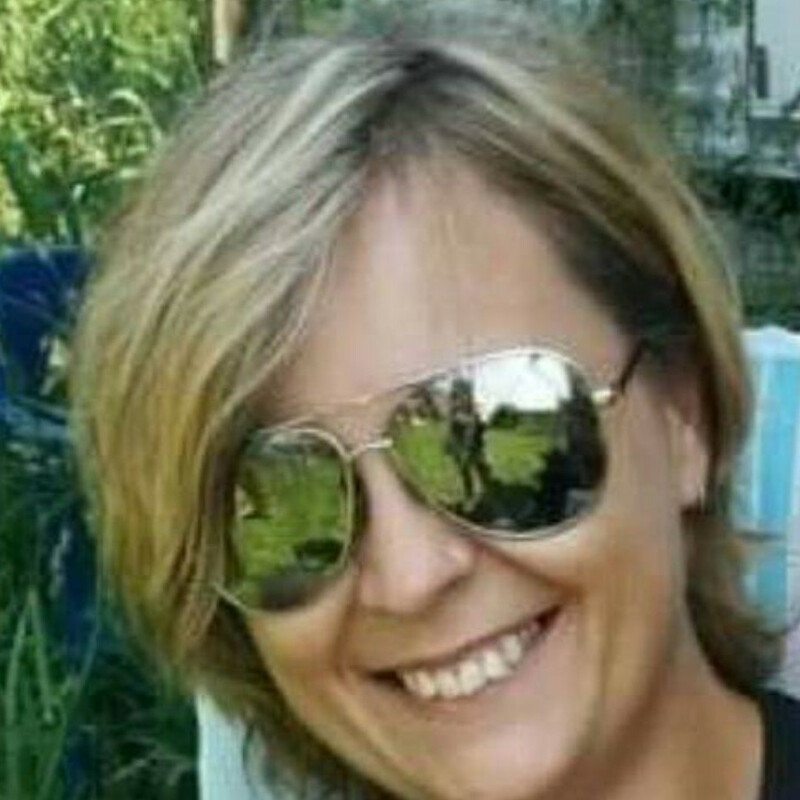 Nous sommes une organisation de première ligne travaillant directement avec les gens atteints d’une maladie rénale chronique. Nous tiendrons notre 9e course annuelle, la course Vivre ses défis, le 28 avril 2019 à l’Installation d’athlétisme Terry Fox. Tous les profits appuieront le programme de «Bourse pour une vie active» pour les personnes de la région d’Ottawa qui vivent avec la maladie rénale chronique. 1K Walk/Fun Run: Start and finish on Terry Fox Track. 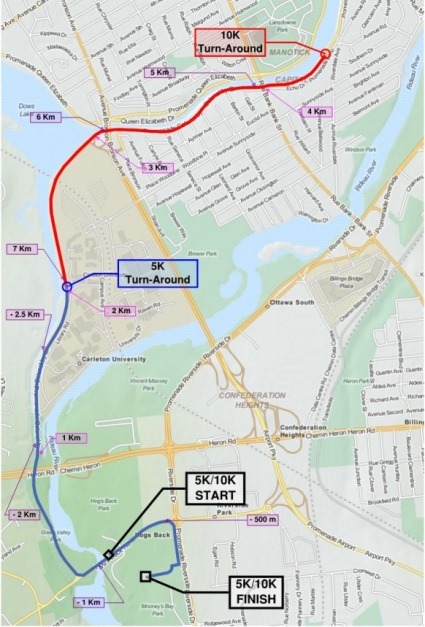 5K Walk/Run: Starts at Hogs Back Road (near the Terry Fox Athletic Facility), turns down Colonel By Drive for an out and back route returning to Hogs Back Road and feeding in to the Terry Fox Athletic Facility for a final 200 m around the track to the finish. 5K Team Challenge: This race will begin and follow the same path as the 5 km Run/Walk. Teams will consist of 4 to 10 members. All members run the whole 5 km. The top 4 times from each team will be used to determine the winning team! 10K Walk/Run: Starts at Hogs Back Road (near the Terry Fox Athletic Facility), turns down Colonel By Drive for an out and back route returning to Hogs Back Road and feeding in to the Terry Fox Athletic Facility for a final 200m around the track to the finish. The Alive to Strive Race is lucky to have amazing sponsors every year, who have continuously supported the race. 4:00 pm. - 8:00 pm. 10:00 am. - 2:00 pm. 1K at Terry Fox Athletic Facility starting at 10:00 am. Online registration will close April 24 at 11:59 p.m. Late entries to all races will be accepted at Race Kit Pickup (Friday and Saturday) as well as on race day Sunday, April 28 starting at 8 a.m.
* Participants must register a minimum of 30 minutes prior to the start time of their event. If a participant registers later, his/her time chip will not be activated and he/she will not have an official time. Late registrations are available during race kit pick times on Friday April 26th, Sat April 27th and Sunday April 28th - all race fees and shirt sale during late registration must be paid in cash ONLY. We work directly with individuals living with chronic kidney disease in the Ottawa area, helping them attain and maintain a healthy lifestyle thanks to our Active Living Grant Program. Nos programmes de bourses Vie Active aident les personnes vivant avec une maladie de rein chronique, à établir et à rejoindre des objectifs personnels de mise en forme et établir des liens avec d'autres individus vivant la même situation. **Teams must have a minimum of 4 participants and a maximum 10 participants. The 5K Team Challenge is not a relay, ALL team members must walk or run the whole 5 km. Each team’s 4 best times will be added to determine the winning teams. 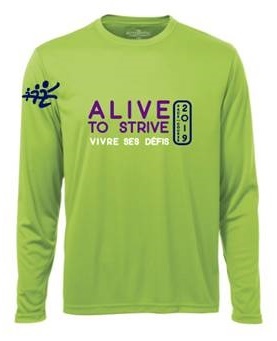 Alive to Strive Race 2018 Tech long sleeve shirts are available for an additional $20. There is a parking lot at Hog's Back Park and at the Terry Fox Athletic Facility. Both of these parking lots are free. If they are full, there is paid parking available at Mooney's Bay as well as nearby street parking. 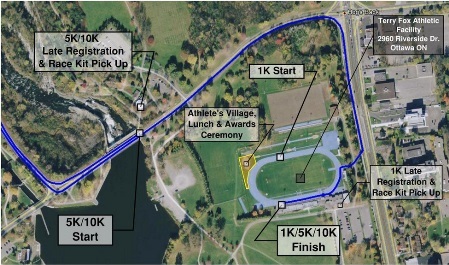 5K and 10K events: Hog's Back Rd. 1K family friendly walk/run: Terry Fox Athletic Facility. For the safety of all participants, no in-line skates or animals (with the exception of guide-dogs) will be allowed on any of the courses or at the Terry Fox Athletic Facility. Participants with strollers are allowed but will be asked to start at the back of the group to prevent any injuries. 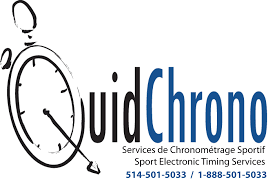 Timing chip for the 5K walk/run, 5K Team Challenge and 10K walk/run will done by Quidchrono and will be included in your race kit on the back of your bib. Entry fees are non-refundable. Once we receive and accept your entry, you will not receive a refund if you cannot participate. Alive To Strive Kidney Fitness Project, in consultation with city officials and local law enforcement agencies, has the authority to cancel any event for emergency purposes. If such emergency conditions force cancellation, refunds cannot be provided since funds may have been already been spent in preparation for Run Day.